View the entire table of contents for the Dec. 31,2005 - Jan. 15,2005 issue. There are plenty of fine Champagnes available for this year's parties. You may, however, have to look harder and pay more for them than usual. Because of its northern climate, Champagne relies on blending wines from different vintages. 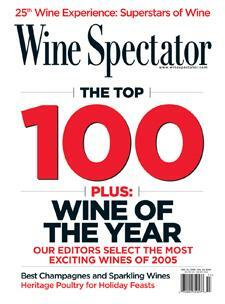 For the full article, check out the new issue of Wine Spectator, on newsstands December 31, 2005.